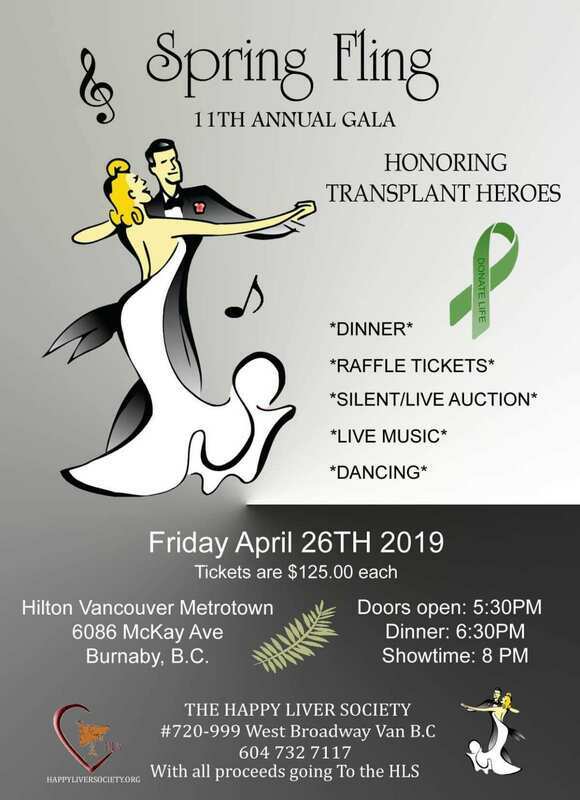 The Happy Liver Society of BC is a non-profit society focused on providing housing to support patients and their families from all over British Columbia as they need to travel to Vancouver General Hospital for a life-saving Liver Transplant. Liver transplant patients must stay in Vancouver for up to three months following their transplant for post-transplant care as an out-patient. There are many different ways you can help support the Happy Liver Society and Stacey House. JOIN US FOR OUR UPCOMING FUNDRAISING EVENT! Click on Flyer to view details. 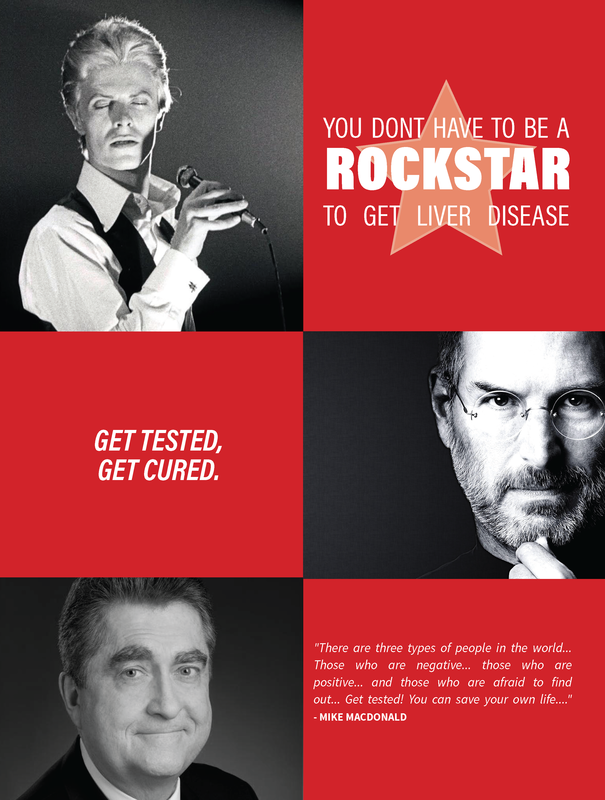 You Don't Have to be a Rockstar to Get Liver Disease! Introducing our new magazine to help bring you introductory information on liver disease, treatment options and the services provided by the Happy Liver Society. If there is one thing we want you to learn, it is to “get tested [and] get cured”. Please DONATE FIRST any amount you can and then download the magazine. The Happy Liver Society is dedicated to helping people and their families whose lives have been devastated by Liver Disease. HLS is committed to educating and raising awareness about the importance of Organ Transplant, providing knowledge to combat the stigma of Liver Disease and advocating to improve resources and funding to help win this battle. HLS reaches out to these impacted folks providing patient care, support and advocacy where there was none. Help us to make a difference, “Think globally but act locally”. Please contact either Karen or Mark directly and we will help you to find a way to help. We need energy and commitment to win this war. Thank you for being a part of the Happy Liver Society Team. ​Trevor Linden attended Karen's HLS event at Metro Town "Save On Foods" in 2010 (she was still awaiting a liver transplant) ... Geoff (post Liver Transplant patient) visits Trevor Linden ... Sept 2012 Trevor shares a message to our dear friend Karen Stacey who recently received the Gift of Life - her liver transplant! A life taken to soon! It is with deep regret that we have to say goodbye to our dear Melanie who lost her battle on Wednesday, August 19th 2015. She was a 2x liver transplant and bone marrow recipient who lived every day not thinking about herself but others. She gave back to her community volunteering through various charities and to the Happy Liver Society in many ways. She will be dearly missed. RIP Melanie. Help support The Stacey House and Donate Today!